Seattle's star defensive end wasn't real happy with a fine he received for a hit at the legs of Cowboys QB Matt Cassel. Meanwhile, Dallas' Jeff Heath was not fined for his hit on Ricardo Lockette. 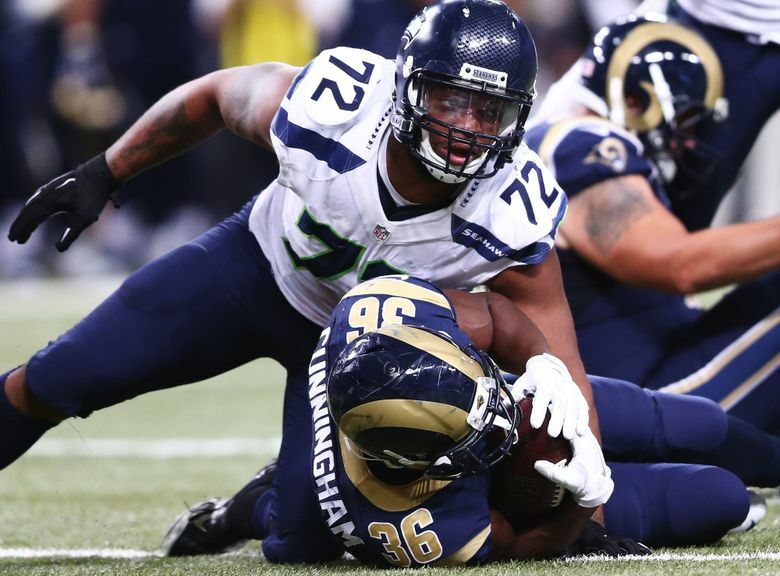 As might have been expected, Seattle Seahawk defensive end Michael Bennett didn’t agree with the decision of the NFL to fine him last week for a hit at the feet of Dallas quarterback Matt Cassel in a game a week ago Sunday. Bennett was particularly peeved that he was fined $20,000 while Dallas’ Jeff Heath was not fined for his hit on Seattle receiver Ricardo Lockette that will end Lockette’s season and resulted in him having surgery on his neck. “They fine me for falling into a guy’s leg and he (Heath) was looking and intentionally looking for a guy and calling him out and going and hit that guy,” Bennett said. “I didn’t look at his knee and just run and hit him in the knee.” Bennett received a personal foul penalty on the play for what was officially termed roughing the passer. It’s the third time this year that Bennett has been fined for hitting a quarterback. He was fined $17,363 for a late hit on Kansas City’s Alex Smith “in the head and neck area” in the pre-season and fined $20,000 for hitting Cincinnati’s Andy Dalton several times after an interception. Bennett says he plans to appeal the fine he got for hitting Cassel as he also appealed the previous fines. Bennett said the fine on Smith was reversed while he has yet to hear about the Dalton play. “I’ve got the gift of gab,” Bennett said of winning appeals, which are conducted via the phone and, Bennett said, decided by a panel that includes former players. “I think a lot of the hits I don’t understand the NFL when it comes to fines,” he said.